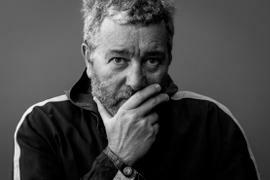 Philippe Starck is an internationally acclaimed French creator, designer and architect. His profound comprehension of contemporary mutations, his determination to change the world, his anticipatory concern for environmental implications, his love of ideas, his desire to defend the intelligence of usefulness - and the usefulness of intelligence - have accompanied one iconic creation after the other. From everyday products such as furniture and lemon squeezers, to revolutionary superyachts, individual windmills, electric bikes or hotels and restaurants that aspire to be wondrous, stimulating and intensely vibrant places. This untiring and rebellious citizen of the world, who considers it his duty to share his ethical and subversive vision of a fairer planet, creates unconventional places and objects whose purpose is to be “good” before being beautiful. Founder of Momentum Adventure Matthew Robertson has an intimate passion for the wilderness. He cut his teeth on the rock faces of the Himalayas and the wilds of South America and Europe. As he puts it, “I’m living the dream and my mission is simple. I want people to experience genuine, raw, wild, natural beauty and this runs vicariously through everything we do.” His mantra: “To take ordinary people in to extraordinary environments and create memories that will last a lifetime”. His vision is simple - to connect more people to the awesome power of the great outdoors. He’s hand picked a team of world leading climbers and guides to run adventures that span the Arctic, Canadian Rockies and the Brazilian Rainforests and Momentum Adventure has now established an intimate niche as a world leader in bespoke experience-based journeys. Founder of Momentum Adventure Matthew Robertson has an intimate passion for the wilderness. He cut his teeth on the rock faces of the Himalayas and the wilds of South America and Europe. As he puts it, “I’m living the dream and my mission is simple. I want people to experience genuine, raw, wild, natural beauty and this runs vicariously through everything we do.” His mantra: “To take ordinary people in to extraordinary environments and create memories that will last a lifetime”. His vision is simple - to connect more people to the awesome power of the great outdoors. He’s hand picked a team of world leading climbers and guides to run adventures that span the Arctic, Canadian Rockies and the Brazilian Rainforests and Momentum Adventure has now established an intimate niche as a world leader in bespoke experience-based journeys. Stephen Attenborough is the Commercial Director for Virgin Galactic, joining the company as its first full-time employee in 2004, with responsibility for laying the commercial foundations and framework for the organisation, including spearheading ongoing sales, business development, marketing, public relations, licensing, partnerships and customer retention initiatives. Prior to joining Virgin Galactic, Stephen worked for Gartmore Investment Management, a major London-based investment management firm, where he performed a number of management and senior management activities for more than 15 years. At Gartmore, his roles focused on the company’s relationship with sophisticated institutional and high net worth clients and prospective clients. Stephen Attenborough is the Commercial Director for Virgin Galactic, joining the company as its first full-time employee in 2004, with responsibility for laying the commercial foundations and framework for the organisation, including spearheading ongoing sales, business development, marketing, public relations, licensing, partnerships and customer retention initiatives. Prior to joining Virgin Galactic, Stephen worked for Gartmore Investment Management, a major London-based investment management firm, where he performed a number of management and senior management activities for more than 15 years. At Gartmore, his roles focused on the company’s relationship with sophisticated institutional and high net worth clients and prospective clients. Christophe Albin founded an Electronics Engineering & Manufacturing Services company in Penang, Malaysia in 1983, and currently serves as its Executive Chairman and sole shareholder. Christophe spent the following 30 years growing and expanding his business, both organically and through mergers and acquisitions. His group is active in many industries including instrumentation, industrial and residential controls, automotive, medical, communication, high end audio-video and household appliances, power tools, HVAC and has customers in more than 12 countries spread over three continents. He started chartering superyachts in the early 2000s in the Mediterranean and Caribbean. These were between 25 and 42 metres and except for one were all sailing yachts. With a desire to undertake a round the world trip, Christophe and his wife became increasingly interested in the superyacht industry, meeting naval architects, interior designers and shipyards all over the world. After viewing many yachts, Christophe and his wife made the decision to design and build a yacht to their exact specifications for their unique trip. S/Y Escapade, a 37.5m Fitzroy, was delivered in 2014 and went on to be a finalist in the Voyager’s Award at the 2017 World Superyacht Awards. Christophe Albin founded an Electronics Engineering & Manufacturing Services company in Penang, Malaysia in 1983, and currently serves as its Executive Chairman and sole shareholder. Christophe spent the following 30 years growing and expanding his business, both organically and through mergers and acquisitions. His group is active in many industries including instrumentation, industrial and residential controls, automotive, medical, communication, high end audio-video and household appliances, power tools, HVAC and has customers in more than 12 countries spread over three continents. 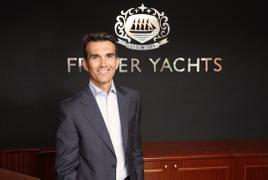 He started chartering superyachts in the early 2000s in the Mediterranean and Caribbean. These were between 25 and 42 metres and except for one were all sailing yachts. With a desire to undertake a round the world trip, Christophe and his wife became increasingly interested in the superyacht industry, meeting naval architects, interior designers and shipyards all over the world. After viewing many yachts, Christophe and his wife made the decision to design and build a yacht to their exact specifications for their unique trip. S/Y Escapade, a 37.5m Fitzroy, was delivered in 2014 and went on to be a finalist in the Voyager’s Award at the 2017 World Superyacht Awards. Henning Fehrmann is driven by innovation. Henning’s company “Fehrmann Metallverarbeitung GmbH” has developed and manufactured windows, glass doors and special glass metal compositions for some of the most iconic yachts. Fehrmann’s products are installed, among others, on AZZAM, VAVA II, TOPAZ, Al Mirqab, Al Said, Lady Moura and Enigma (eco). In 1953 Fehrmann’s engineers developed weathertight sliding windows for Mr Onassis’ forward owner’s area at MS Christina. The windows are still in operation. Based on the knowledge from severe damages Henning’s team has recently invented the world’s first windows against freak waves. At the metal division, their R&D project brought out a corrosion resistant aluminum alloy strong as steel. Today, Fehrmann’s engineers develop high-tech aluminum for 3D printing as well as Smart Windows. Henning has been engaged as a mentor for startups i.e. Nuwiel (electric bike trailers) and Puttview (augmented reality putting app). He has co-founded YNICORN a company that evaluates the investment-readiness-level of startups and business models on an algorithm base. Henning is member of jury at several startup contests and shares his knowledge and thoughts about disruptive innovations and company transformation as a sparring partner with boards of large companies. Henning Fehrmann is driven by innovation. Henning’s company “Fehrmann Metallverarbeitung GmbH” has developed and manufactured windows, glass doors and special glass metal compositions for some of the most iconic yachts. Fehrmann’s products are installed, among others, on AZZAM, VAVA II, TOPAZ, Al Mirqab, Al Said, Lady Moura and Enigma (eco). In 1953 Fehrmann’s engineers developed weathertight sliding windows for Mr Onassis’ forward owner’s area at MS Christina. The windows are still in operation. Based on the knowledge from severe damages Henning’s team has recently invented the world’s first windows against freak waves. At the metal division, their R&D project brought out a corrosion resistant aluminum alloy strong as steel. Today, Fehrmann’s engineers develop high-tech aluminum for 3D printing as well as Smart Windows. 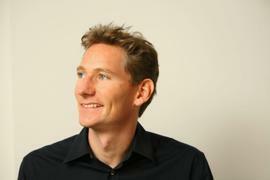 Henning has been engaged as a mentor for startups i.e. Nuwiel (electric bike trailers) and Puttview (augmented reality putting app). He has co-founded YNICORN a company that evaluates the investment-readiness-level of startups and business models on an algorithm base. Henning is member of jury at several startup contests and shares his knowledge and thoughts about disruptive innovations and company transformation as a sparring partner with boards of large companies. Axel Massmann is Founder and CEO of Yacht-Green, an end-to-end company that care and develop creative concepts for plants onboard yachts as well as their associated requirements such as irrigation and lighting. For the past 25 years, Axel has added fountains, shopping malls, atriums, rooftop gardens and other well-known projects all over the world to his portfolio. Yacht-Green is now working on several 100m plus yacht projects, as well as its own futuristic yacht designs. A qualified engineer in landscape architecture, Axel’s resolve has always been to create custom-made green solutions that inspire tranquil settings in contrast to the busy lives people lead. Before graduating as a landscape architect, Axel studied philosophy and psychology and continues to incorporate this knowledge and perspective into his work, creating and strengthening connections with nature and the environment. Based in Hamburg, and temporarily in Nice, Axel and his team continue to explore the creativity of green opportunities in the superyacht industry. Axel Massmann is Founder and CEO of Yacht-Green, an end-to-end company that care and develop creative concepts for plants onboard yachts as well as their associated requirements such as irrigation and lighting. For the past 25 years, Axel has added fountains, shopping malls, atriums, rooftop gardens and other well-known projects all over the world to his portfolio. Yacht-Green is now working on several 100m plus yacht projects, as well as its own futuristic yacht designs. A qualified engineer in landscape architecture, Axel’s resolve has always been to create custom-made green solutions that inspire tranquil settings in contrast to the busy lives people lead. Before graduating as a landscape architect, Axel studied philosophy and psychology and continues to incorporate this knowledge and perspective into his work, creating and strengthening connections with nature and the environment. 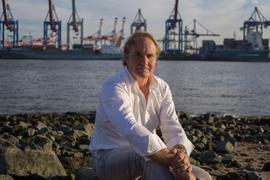 Based in Hamburg, and temporarily in Nice, Axel and his team continue to explore the creativity of green opportunities in the superyacht industry. Manuel Bianchi is the Managing Director Europe, Business Development at Wealth-X and has built the client base in Continental Europe since the foundation of Wealth-X in 2010. Manuel leads the EMEA Commercial Team for all Sales & Account Management activities with all 4 sectors with whom Wealth-X engages and has brought over 100 companies on board over the past 6 years. Prior to joining Wealth-X, Manuel completed a Masters degree in Hospitality Management in Central Switzerland. He also speaks 4 languages fluently and has served in the Swiss Army as a Sergeant. Manuel Bianchi is the Managing Director Europe, Business Development at Wealth-X and has built the client base in Continental Europe since the foundation of Wealth-X in 2010. Manuel leads the EMEA Commercial Team for all Sales & Account Management activities with all 4 sectors with whom Wealth-X engages and has brought over 100 companies on board over the past 6 years. Prior to joining Wealth-X, Manuel completed a Masters degree in Hospitality Management in Central Switzerland. He also speaks 4 languages fluently and has served in the Swiss Army as a Sergeant. Clive Scott is Head of Tiltrotor and Unmanned Programs for Leonardo SpA. (Helicopter Division). Based in Italy, he is responsible for all Tiltrotor and Unmanned rotary wing product lines; AW609 Tiltrotor, NextGen Tiltrotor, HERO and SOLO Unmanned Air Vehicle (UAV) Programs. Prior to this, under AgustaWestland Philidelphia Corporation (AWPC), Clive has been involved with some of the most iconic aircraft models. As AW609 Program Director he was responsible for the AW609 integrated team for FAA certification and EASA validation, transfer/transition of the 609 civil tiltrotor program from Bell to AW, and development, certification, production and introduction to service following the transition. Clive has a variety of experience in worldwide military/commercial helicopter sales and service contracts across AW product lines. He can count the Turkish T-129 ATAK helicopter, EH101 Merlin RN Mk1 Helicopter/RAF Mk3, AW139, AW109, AB412 and CH47 Chinook Helicopters as part of his portfolio. Having lived in the US, UK, France and Italy, Clive began his career at British Airways Engineering as Production Planning Engineer, overseeing Materials Management and Component Overhaul and has a BEng. (Hons) in Aeronautics and Astronautics from the University of Southampton, UK. Clive Scott is Head of Tiltrotor and Unmanned Programs for Leonardo SpA. (Helicopter Division). Based in Italy, he is responsible for all Tiltrotor and Unmanned rotary wing product lines; AW609 Tiltrotor, NextGen Tiltrotor, HERO and SOLO Unmanned Air Vehicle (UAV) Programs. Prior to this, under AgustaWestland Philidelphia Corporation (AWPC), Clive has been involved with some of the most iconic aircraft models. As AW609 Program Director he was responsible for the AW609 integrated team for FAA certification and EASA validation, transfer/transition of the 609 civil tiltrotor program from Bell to AW, and development, certification, production and introduction to service following the transition. 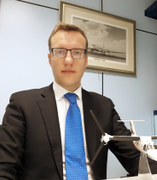 Clive has a variety of experience in worldwide military/commercial helicopter sales and service contracts across AW product lines. He can count the Turkish T-129 ATAK helicopter, EH101 Merlin RN Mk1 Helicopter/RAF Mk3, AW139, AW109, AB412 and CH47 Chinook Helicopters as part of his portfolio. Having lived in the US, UK, France and Italy, Clive began his career at British Airways Engineering as Production Planning Engineer, overseeing Materials Management and Component Overhaul and has a BEng. (Hons) in Aeronautics and Astronautics from the University of Southampton, UK. During a career in the superyacht industry encounters with on board art inspired Helen Robertson to retrain in organic and preventive conservation. Recognising a need to advocate best care practices, Helen focused her Masters research on the benefit of adopting collections care management for working marine interiors. A return to the yachting world was side tracked by an opportunity to work in ship model conservation, at the National Maritime Museum. 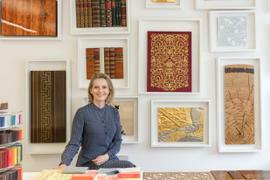 On realising a passion to combine traditional hand skills, creativity, material and scientific research; she never left. This environment has allowed Helen to hone her conservation skills; however, she remains a fervent supporter in developing training initiatives and promoting protection of art at sea. As the nature of the superyacht and art worlds evolve these two facets of the luxury industry are converging with increasingly extreme demands. Helen’s professional experience offers a rare insight into how solutions can be found to protect the financial and cultural integrity of on board art. During a career in the superyacht industry encounters with on board art inspired Helen Robertson to retrain in organic and preventive conservation. Recognising a need to advocate best care practices, Helen focused her Masters research on the benefit of adopting collections care management for working marine interiors. A return to the yachting world was side tracked by an opportunity to work in ship model conservation, at the National Maritime Museum. On realising a passion to combine traditional hand skills, creativity, material and scientific research; she never left. This environment has allowed Helen to hone her conservation skills; however, she remains a fervent supporter in developing training initiatives and promoting protection of art at sea. As the nature of the superyacht and art worlds evolve these two facets of the luxury industry are converging with increasingly extreme demands. Helen’s professional experience offers a rare insight into how solutions can be found to protect the financial and cultural integrity of on board art. 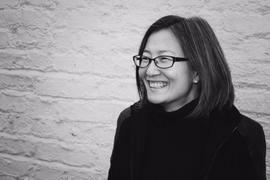 Lay Koon Tan is the Founder of Nature Squared, a sustainable business focusing on bespoke luxury and sustainable surface design applications. Having grown up in Malaysia, Lay Koon experienced a rapidly changing economy first hand and, living in Europe she felt the view that developing countries are primarily a source of low quality and cheap labour is mistaken. By creating a business built upon reaffirming the value of artisanal skills through the reinforcement of the unmistakeable links between nature and human endeavour, she hoped this belief and attitude would start to be revaluated and they started to build a business based on trade, not aid. Sixteen years later, Nature Squared is synonymous with quality and handwork, embodying Lay Koon’s original values and ambitions thanks to its 200 strong work force and with employees based in Europe, Middle East and the Far East. A multimillion turnover company, Nature Squared are currently investing substantially in training and business growth with a view to doubling their employees in the Philippines over the next 4-5 years. Nature Squared is already established as a leading luxury natural materials supplier within the superyacht market and 2017 is set to see a number of key strategic design collaborations in hospitality, retail, residential and luxury brands like Rolls Royce. Prior to founding Nature Squared, Lay Koon worked her way through the ranks at global accounting firm Arthur Andersen, becoming one of the youngest partners and one of the few female partners. In the 1990’s, Lay Koon went onto to consult numerous FTSE 100 companies including leading European Stock Exchanges and the Bank of England. Lay Koon Tan studied at the London School of Economics in the early 1980’s. Aino Leena Grapin joined Winch Design in September 2016 and is responsible for leading the team into a new phase of success, working closely with Founder and Creative Director, Andrew Winch, the Board and the senior management team. She has nearly 20 years of experience in leading and growing businesses in creative industries, namely in the art, luxury and technology sectors. As CEO of Winch Design, Aino’s focus is to look ahead to the future while ensuring the original creative ethos and company culture remain strong. Before joining Winch Design, Aino set up the European operations of Paddle8 as Managing Director, concentrating on Business Development and Strategic Partnerships. Holding a MBA from INSEAD, Aino started her career as a Strategy Consultant with Bain & Company focusing on growth strategies and private equity due diligence. She then spent nearly a decade at Christie’s, in a variety of strategic and operational roles, including International Business Director being responsible for Russian Art. Aino Leena Grapin joined Winch Design in September 2016 and is responsible for leading the team into a new phase of success, working closely with Founder and Creative Director, Andrew Winch, the Board and the senior management team. She has nearly 20 years of experience in leading and growing businesses in creative industries, namely in the art, luxury and technology sectors. As CEO of Winch Design, Aino’s focus is to look ahead to the future while ensuring the original creative ethos and company culture remain strong. Before joining Winch Design, Aino set up the European operations of Paddle8 as Managing Director, concentrating on Business Development and Strategic Partnerships. Holding a MBA from INSEAD, Aino started her career as a Strategy Consultant with Bain & Company focusing on growth strategies and private equity due diligence. She then spent nearly a decade at Christie’s, in a variety of strategic and operational roles, including International Business Director being responsible for Russian Art. Raphael Sauleau joined Fraser as Chief Executive Officer in April 2016 and paved the way for Fraser’s 70th anniversary in 2017, celebrating 70 years of incredible client service. Raphael is working on strengthening and reinforcing the current services offered by Fraser: sales, charter, management, construction and crew, and under his guidance, Fraser is set to maintain its position as the leading seller of superyachts, surpassing any other brokerage company. With such a strong global reputation, Fraser has a wealth of experience behind their diligent approach to handling client assets. Raphael previously held the position of CEO of a UHNW Monaco based family office operating the prime real estate of the Parkview Private Collection, including developments in Monaco, bay of St Tropez, London and Beijing. Raphael focused on ultra-deluxe, iconic concepts and brands including the mega yacht SALUZI. Raphael has a wealth of maritime experience, which he accrued during his fifteen years spent working at VShips, the leading global maritime provider specialising in high value maritime assets, and from which Fraser’s Executive Chairman Roberto Giorgi also originates. Raphael held the position of Executive Director of Crew Operations for VShips leisure division worldwide, responsible for all cruise lines, yachts, hotels and resorts as well as led the V.Ships Cargo Crew Division of Monaco, responsible for 60 shore staff and 8,000 crew members. Raphael Sauleau joined Fraser as Chief Executive Officer in April 2016 and paved the way for Fraser’s 70th anniversary in 2017, celebrating 70 years of incredible client service. Raphael is working on strengthening and reinforcing the current services offered by Fraser: sales, charter, management, construction and crew, and under his guidance, Fraser is set to maintain its position as the leading seller of superyachts, surpassing any other brokerage company. With such a strong global reputation, Fraser has a wealth of experience behind their diligent approach to handling client assets. Raphael previously held the position of CEO of a UHNW Monaco based family office operating the prime real estate of the Parkview Private Collection, including developments in Monaco, bay of St Tropez, London and Beijing. Raphael focused on ultra-deluxe, iconic concepts and brands including the mega yacht SALUZI. Raphael has a wealth of maritime experience, which he accrued during his fifteen years spent working at VShips, the leading global maritime provider specialising in high value maritime assets, and from which Fraser’s Executive Chairman Roberto Giorgi also originates. Raphael held the position of Executive Director of Crew Operations for VShips leisure division worldwide, responsible for all cruise lines, yachts, hotels and resorts as well as led the V.Ships Cargo Crew Division of Monaco, responsible for 60 shore staff and 8,000 crew members. 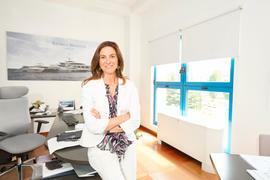 Since 2000, Giovanna Vitelli has been a member of the Board of Azimut Benetti S.p.A, the world’s leading megayacht construction company, which was founded by her father in 1969. She is currently Vice President with executive responsibility on product strategy and development, as well as Group R&D. Giovanna is a Member of the Board of Directors of Marina di Varazze Srl and Benetti Asia Limited and is Vice President of Nautica Italiana, the Italian shipyard association, and member of the council of Boote Messe Duesseldorf. She has been recently appointed member of the board of Altagamma, the Italian association for luxury products Made in Italy. Prior to entering the family owned Group as marketing and sales manager of the Marinas & Real Estate Division, Giovanna graduated in Law from Turin University and practiced in one of Italy’s leading law firms, Bonelli Erede Pappalardo in Milan. Since 2000, Giovanna Vitelli has been a member of the Board of Azimut Benetti S.p.A, the world’s leading megayacht construction company, which was founded by her father in 1969. She is currently Vice President with executive responsibility on product strategy and development, as well as Group R&D. Giovanna is a Member of the Board of Directors of Marina di Varazze Srl and Benetti Asia Limited and is Vice President of Nautica Italiana, the Italian shipyard association, and member of the council of Boote Messe Duesseldorf. She has been recently appointed member of the board of Altagamma, the Italian association for luxury products Made in Italy. Prior to entering the family owned Group as marketing and sales manager of the Marinas & Real Estate Division, Giovanna graduated in Law from Turin University and practiced in one of Italy’s leading law firms, Bonelli Erede Pappalardo in Milan. Dan Lenard, Stylist, and Carlo Nuvolari, Naval Architect and Mechanical Engineer, founded Nuvolari Lenard in 1990, in Venice, Italy. Both share the common passion for sailing and spend as much of their free time at sea. Unfortunately, not as much as they would like. Well known for its Italian Style, Nuvolari Lenard performs concept design, naval architecture, exterior styling, architecture and take care of the yacht from the beginning of the project until the delivery. Nuvolari Lenard has three different sections of activity: large custom yachts, serial production yachts and interior for both large yachts and residential projects. Nuvolari Lenard designed yachts have been built by the most famous shipyards including Oceanco, Luerssen, Amels, Palmer Johnson, Perini Navi, CRN, Ferretti. All the yachts are built by the design and under the supervision of Nuvolari Lenard, who assist the customer and the captain in all the design building and delivery procedure. Hundreds of boats built upon Nuvolari Lenard design are on the market presently as they execute their expansion plans in China and Africa. Dan Lenard, Stylist, and Carlo Nuvolari, Naval Architect and Mechanical Engineer, founded Nuvolari Lenard in 1990, in Venice, Italy. Both share the common passion for sailing and spend as much of their free time at sea. Unfortunately, not as much as they would like. Well known for its Italian Style, Nuvolari Lenard performs concept design, naval architecture, exterior styling, architecture and take care of the yacht from the beginning of the project until the delivery. Nuvolari Lenard has three different sections of activity: large custom yachts, serial production yachts and interior for both large yachts and residential projects. Nuvolari Lenard designed yachts have been built by the most famous shipyards including Oceanco, Luerssen, Amels, Palmer Johnson, Perini Navi, CRN, Ferretti. All the yachts are built by the design and under the supervision of Nuvolari Lenard, who assist the customer and the captain in all the design building and delivery procedure. Hundreds of boats built upon Nuvolari Lenard design are on the market presently as they execute their expansion plans in China and Africa. Guillaume Rolland is presently in charge of Studio Liaigre’s yacht design division. Guillaume joined Christian Liaigre’s team in 2002 and became the principal in charge of the design studio and has since been involved in all the projects developed. Before this, from 1998 to 2001, Guillaume worked with Philippe Starck. Since, he has taken part in several Design Studio projects, residential as well as commercial. His knowledge of the yachting world, allowed him to lead yacht projects, which have in turn contributed to the notoriety of Liaigre’s signature style worldwide. Passionate about yachting from his very first sailing experience at the age of ten, he has not stopped since, and admits that he has tried just about all types of boats: from racing sailboats to the more sophisticated yachts. Rigorous, pragmatic, with a clear sense of proportion and knowledge of the constraints linked to sailing, he loves the challenge that comes with fitting a boat into a liveable space. No doubt he has been tipped off a few solutions by his grandfather who was an inventor. Referring to the design process, he talks about the paradox of the boat, the apparent contradiction between the harshness of the elements and the fluidity of the lines. (The lines formed by the design of the hull, along with the fluidity of the interior fittings). The fit out of a boat is a specific exercise which implements a whole other vocabulary, ergonomics which do not allow sharp angles and forces the body into contact with walls far more often than it would on land. Yachting is an architectural challenge in which the Liaigre style expresses itself with pertinence, whilst maintaining the perfect balance between efficiency and elegance. Each time, the necessity to provide solutions as well as combining it with a lifestyle is a question that Guillaume Rolland does not cease to improve upon from one project to the next. In the field of yachting, as in all others, the Liaigre signature is synonymous with technicality, refined materials, schemes and finishes. A guaranteed quality which is appreciated and recognized by boat lovers. Guillaume Rolland graduated from Malaquai and Milan’s Politecnico in Architecture. Guillaume Rolland is presently in charge of Studio Liaigre’s yacht design division. Guillaume joined Christian Liaigre’s team in 2002 and became the principal in charge of the design studio and has since been involved in all the projects developed. Before this, from 1998 to 2001, Guillaume worked with Philippe Starck. Rigorous, pragmatic, with a clear sense of proportion and knowledge of the constraints linked to sailing, he loves the challenge that comes with fitting a boat into a liveable space. No doubt he has been tipped off a few solutions by his grandfather who was an inventor. Referring to the design process, he talks about the paradox of the boat, the apparent contradiction between the harshness of the elements and the fluidity of the lines. (The lines formed by the design of the hull, along with the fluidity of the interior fittings). The fit out of a boat is a specific exercise which implements a whole other vocabulary, ergonomics which do not allow sharp angles and forces the body into contact with walls far more often than it would on land. Yachting is an architectural challenge in which the Liaigre style expresses itself with pertinence, whilst maintaining the perfect balance between efficiency and elegance. Each time, the necessity to provide solutions as well as combining it with a lifestyle is a question that Guillaume Rolland does not cease to improve upon from one project to the next. In the field of yachting, as in all others, the Liaigre signature is synonymous with technicality, refined materials, schemes and finishes. A guaranteed quality which is appreciated and recognized by boat lovers. Guillaume Rolland graduated from Malaquai and Milan’s Politecnico in Architecture. 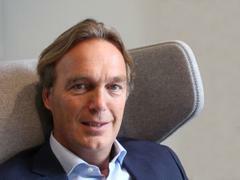 Marcel van der Spek is co-founder of Esthec, a brand of Bolidt. Marcel launched the business with Rientz W. Bol, their shared goal was to bring high quality decking that can be used for outdoor applications, along with innovation, technology and sophistication, to the yachting industry. The result of their passion, dedication and hard work has been a success. Exploring a new venture in 2014, Esthec developed a product for the high end residential sector with a stylish and modern feel; Esthec Terrace. A material that has been chosen by the most famous luxury hotel chains and private residences. Today, having established 8 offices around the world, Marcel is steadily expanding the business and is always looking towards the future. New technologies and revolutionary systems for decking are continuously on his radar, largely because, to Marcel, a deck is not just a cover but a perfect way to distinguish yourself! 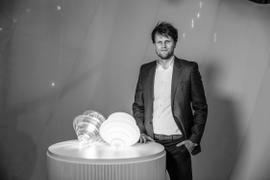 Marcel van der Spek is co-founder of Esthec, a brand of Bolidt. Marcel launched the business with Rientz W. Bol, their shared goal was to bring high quality decking that can be used for outdoor applications, along with innovation, technology and sophistication, to the yachting industry. The result of their passion, dedication and hard work has been a success. Exploring a new venture in 2014, Esthec developed a product for the high end residential sector with a stylish and modern feel; Esthec Terrace. A material that has been chosen by the most famous luxury hotel chains and private residences. Today, having established 8 offices around the world, Marcel is steadily expanding the business and is always looking towards the future. New technologies and revolutionary systems for decking are continuously on his radar, largely because, to Marcel, a deck is not just a cover but a perfect way to distinguish yourself! 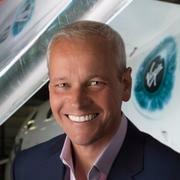 Simon is Marketing Director of Sunseeker International, Britain’s biggest boat builder, where he heads up the global brand and product marketing. With over 25 years’ marketing experience, Simon has been lucky enough to work with two of his personal passions, boats and cars, and has worked with some of the world’s most iconic brands across both sectors including Rolls-Royce, Land Rover, Bentley and, of course, Sunseeker. As Bentley’s Global Head of Brand Management, Simon was instrumental in transforming the brand into what it is today by taking the marketing lead in creating the concept, positioning and eventual launch of the now iconic Continental GT. Having completed a similar project for Land Rover for the upcoming new Defender, he joined Sunseeker in 2015 as part of the Executive Team that successfully turned the business around, taking the brand from a £30m loss in 2014 to a £6m profit in 2016. With some eight years’ experience in the luxury yacht sector, including his time as Head of Marketing at Princess Yachts, Simon will be talking about the importance of ‘Content Marketing’ at this year’s SDS. He will be sharing his cross segment insight and experience and explaining how he believes the sector can learn from other luxury markets. 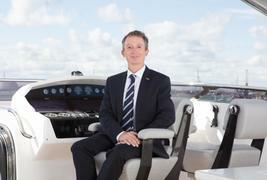 Simon is Marketing Director of Sunseeker International, Britain’s biggest boat builder, where he heads up the global brand and product marketing. With over 25 years’ marketing experience, Simon has been lucky enough to work with two of his personal passions, boats and cars, and has worked with some of the world’s most iconic brands across both sectors including Rolls-Royce, Land Rover, Bentley and, of course, Sunseeker. As Bentley’s Global Head of Brand Management, Simon was instrumental in transforming the brand into what it is today by taking the marketing lead in creating the concept, positioning and eventual launch of the now iconic Continental GT. Having completed a similar project for Land Rover for the upcoming new Defender, he joined Sunseeker in 2015 as part of the Executive Team that successfully turned the business around, taking the brand from a £30m loss in 2014 to a £6m profit in 2016. With some eight years’ experience in the luxury yacht sector, including his time as Head of Marketing at Princess Yachts, Simon will be talking about the importance of ‘Content Marketing’ at this year’s SDS. He will be sharing his cross segment insight and experience and explaining how he believes the sector can learn from other luxury markets. Pavel Krajčík is Managing Director Europe at Lasvit, responsible for creating Lasvit’s sales strategy for the European markets. Pavel has been with Lasvit for the past 7 years, most recently as Managing Director Europe, but previously as Director of the London branch, which he developed after a short time with the business. He is passionate about many things, such as design, photography and music, he plays electric guitar. Pavel loves to travel and do sports, such as skiing and diving, preferably among sharks. Pavel took his master´s degree both from University of Economics in Prague (Business Administrative) and Charles University in Prague (Sociology). Pavel Krajčík is Managing Director Europe at Lasvit, responsible for creating Lasvit’s sales strategy for the European markets. Pavel has been with Lasvit for the past 7 years, most recently as Managing Director Europe, but previously as Director of the London branch, which he developed after a short time with the business. He is passionate about many things, such as design, photography and music, he plays electric guitar. Pavel loves to travel and do sports, such as skiing and diving, preferably among sharks. Pavel took his master´s degree both from University of Economics in Prague (Business Administrative) and Charles University in Prague (Sociology). 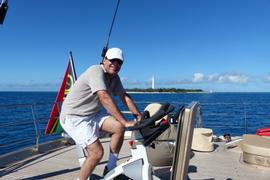 John Leonida is a partner at Clyde & Co and heads up the Superyacht practice. John's legal specialism lies in transactional work where he is regarded as a "leading individual" by highly regarded Chambers & Partner legal directory. 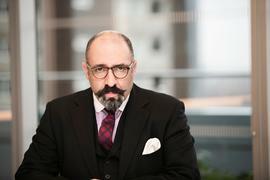 He also advises on regulatory issues relating to the ownership of ships and has extensive experience in negotiating shipbuilding and ship financing documents. His clients are either shipping entrepreneurs or, in the case of John's superyacht work, high net-worth individuals, superyacht builders, designers and banks. He is a regular contributor to Boat International. Writing for the Sunday Times and Vanity Fair, John Arlidge has spent time behind closed doors with some of the world's most prominent political and business leaders. It was John who revealed that Goldman Sachs' boss, Lloyd Blankfein, thinks bankers "do God’s work”. It took 10 years but he finally persuaded Jony Ive, Apple's chief designer, to do his first, full one-on-one interview. John writes the annual Sunday Times Rich List. He writes regularly for Wallpaper* and Conde Nast magazines worldwide. He is Contributing Editor and Luxury & Travel Editor of Spear's, the New Yorker-style global magazine for ultra high net worth individuals. 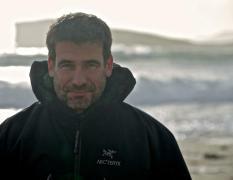 He was nominated and highly commended as Feature Writer of the Year in the British Press Awards in 2009, 2010, 2011 and 2012 and as Business Writer of the Year in 2013. He was nominated and highly commended in the 2010 and 2013 Orwell Prize for Journalism, won the Foreign Press Association Award for Science Story of the Year in 2014 and was named the Santander Financial Freelance Journalist of the Year in 2016. In 2017 he was shortlisted and highly commended as Business and Finance Journalist of the Year and Technology Writer of the Year in the British Journalism Awards and he also became a Fellow of the Orwell Prize for Journalism. Writing for the Sunday Times and Vanity Fair, John Arlidge has spent time behind closed doors with some of the world's most prominent political and business leaders. It was John who revealed that Goldman Sachs' boss, Lloyd Blankfein, thinks bankers "do God’s work”. It took 10 years but he finally persuaded Jony Ive, Apple's chief designer, to do his first, full one-on-one interview. John writes the annual Sunday Times Rich List. He writes regularly for Wallpaper* and Conde Nast magazines worldwide. He is Contributing Editor and Luxury & Travel Editor of Spear's, the New Yorker-style global magazine for ultra high net worth individuals. He was nominated and highly commended as Feature Writer of the Year in the British Press Awards in 2009, 2010, 2011 and 2012 and as Business Writer of the Year in 2013. He was nominated and highly commended in the 2010 and 2013 Orwell Prize for Journalism, won the Foreign Press Association Award for Science Story of the Year in 2014 and was named the Santander Financial Freelance Journalist of the Year in 2016. In 2017 he was shortlisted and highly commended as Business and Finance Journalist of the Year and Technology Writer of the Year in the British Journalism Awards and he also became a Fellow of the Orwell Prize for Journalism. 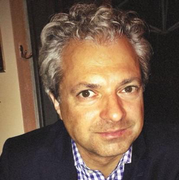 Maurizio Minossi is the Technical Director at Videoworks which he joined in 1998. He is also a member of the Board and Director of research and development. Maurizio is currently focused on smart environments, IT redundancy, cybersecurity and virtualization of AV devices. Videoworks entered the Luxury Yachts Market in 1998 and has been involved in more than 90 projects from 27 to 330 feet in Italy, Netherlands, US and China. Maurizio began working in Industrial Automation and Industrial Networking in the early 1990s. He has an MBA from Institute Adriano Olivetti ISTAO, 1994 and graduated in Electronic Engineering at the University Politecnica delle Marche in Ancona in 1991. Maurizio Minossi is the Technical Director at Videoworks which he joined in 1998. He is also a member of the Board and Director of research and development. Maurizio is currently focused on smart environments, IT redundancy, cybersecurity and virtualization of AV devices. Videoworks entered the Luxury Yachts Market in 1998 and has been involved in more than 90 projects from 27 to 330 feet in Italy, Netherlands, US and China. 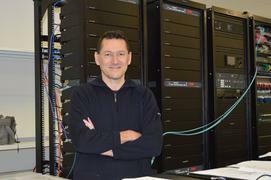 Maurizio began working in Industrial Automation and Industrial Networking in the early 1990s. He has an MBA from Institute Adriano Olivetti ISTAO, 1994 and graduated in Electronic Engineering at the University Politecnica delle Marche in Ancona in 1991. Espen Oeino International is one of the leading designers of large superyachts working today. Founded by Espen Oeino 23 years ago in Antibes, the company is based in Monaco and has 20 employees who span seven different nationalities. Mr Oeino is a Norwegian born Naval Architect who graduated from the faculty of Naval Architecture and Offshore engineering at the University of Strathclyde in Glasgow. Of the nearly 50 yachts designed and delivered by EOI, eleven of them are within the top 100 largest yachts. Espen Oeino International is one of the leading designers of large superyachts working today. Founded by Espen Oeino 23 years ago in Antibes, the company is based in Monaco and has 20 employees who span seven different nationalities. Mr Oeino is a Norwegian born Naval Architect who graduated from the faculty of Naval Architecture and Offshore engineering at the University of Strathclyde in Glasgow. Of the nearly 50 yachts designed and delivered by EOI, eleven of them are within the top 100 largest yachts. Ships and boating have always been a part of Daisy’s life, as her family’s business is ships, and their passion is for the sea. Daisy’s father founded Eastern Shipbuilding Group Inc. in 1976 after leaving his job as a lawyer in NYC to become a construction foreman, and then a swordfisherman. Despite working with ships and the sea Brian took his family on sailing and boating vacations through the Bahamas every summer. Daisy’s autumns, winters and springs were spent on the water in Florida with her 9 brothers and sisters. One by one her 6 brothers have joined her father at Eastern Shipbuilding Group Inc. which has built over 350 commercial vessels to date. Most recently Eastern Shipbuilding has been awarded the largest U.S. Coast Guard Contract in US history to build the next offshore patrol vessel fleet. Eastern Shipbuilding and the D’Isernia family entered the realm of Super Yachting in 2014 with the launching of the 141ft. on deck, steel hull, schooner Columbia (an exact replica of the 1923, W. Starling Burgess, Gloucester, Massachusetts fishing schooner, Columbia.) Columbia is a testament to the great construction versatility of Eastern Shipbuilding Group Inc., and the D'Isernia family’s interest in maritime heritage. Since Columbia’s delivery Daisy has enjoyed several seasons aboard her, and joined the family business. Like her father, Daisy didn’t start out in shipbuilding. After graduating from Loyola University Maryland she earned a Masters degree in Human Communication Sciences at La Trobe University in Melbourne, Aus. She conducted research and worked for the Victoria and Queensland public health care systems in Australia. She is expanding her knowledge of yachts and shipbuilding by learning shipbuilding trades including welding. She is equally interested interior and exterior yacht design as well the engineering and construction of ships. This gives Daisy a unique perspective of the current Superyacht trends where luxury is meeting commercial vessel building. Ships and boating have always been a part of Daisy’s life, as her family’s business is ships, and their passion is for the sea. Daisy’s father founded Eastern Shipbuilding Group Inc. in 1976 after leaving his job as a lawyer in NYC to become a construction foreman, and then a swordfisherman. Despite working with ships and the sea Brian took his family on sailing and boating vacations through the Bahamas every summer. Daisy’s autumns, winters and springs were spent on the water in Florida with her 9 brothers and sisters. One by one her 6 brothers have joined her father at Eastern Shipbuilding Group Inc. which has built over 350 commercial vessels to date. Most recently Eastern Shipbuilding has been awarded the largest U.S. Coast Guard Contract in US history to build the next offshore patrol vessel fleet. Eastern Shipbuilding and the D’Isernia family entered the realm of Super Yachting in 2014 with the launching of the 141ft. on deck, steel hull, schooner Columbia (an exact replica of the 1923, W. Starling Burgess, Gloucester, Massachusetts fishing schooner, Columbia.) Columbia is a testament to the great construction versatility of Eastern Shipbuilding Group Inc., and the D'Isernia family’s interest in maritime heritage. Since Columbia’s delivery Daisy has enjoyed several seasons aboard her, and joined the family business. Like her father, Daisy didn’t start out in shipbuilding. After graduating from Loyola University Maryland she earned a Masters degree in Human Communication Sciences at La Trobe University in Melbourne, Aus. She conducted research and worked for the Victoria and Queensland public health care systems in Australia. She is expanding her knowledge of yachts and shipbuilding by learning shipbuilding trades including welding. She is equally interested interior and exterior yacht design as well the engineering and construction of ships. This gives Daisy a unique perspective of the current Superyacht trends where luxury is meeting commercial vessel building. Sebastian Vibe-Petersen, who works with his father in their family company, Scanomat, combines his personal knowledge with that of his father as a World Superyacht Awards judge since 2012. He has been involved with large yachts since he was a child and as such represents the face of the younger generation of yachtsmen.